and Debuted at the Melbourne Film Festival in 2007. 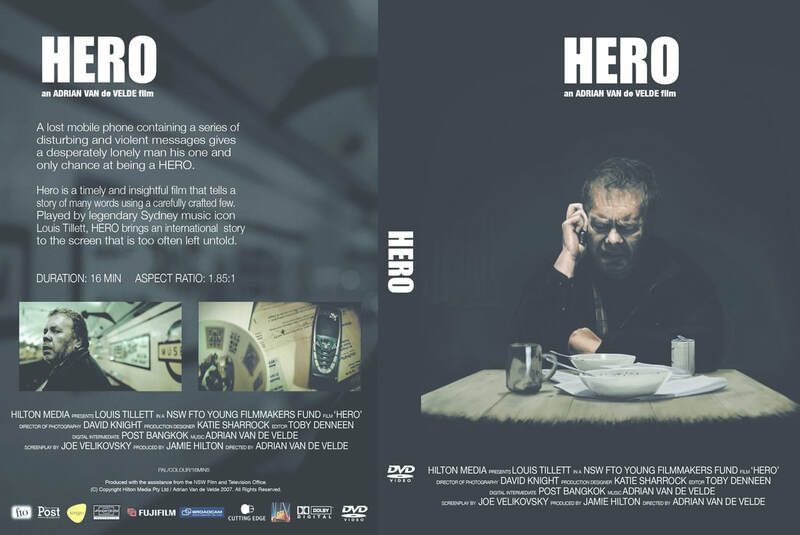 Louis Tillett in the Short Film HERO. 2006. David Knight DOP. It debuted at the Melbourne International Film Festival in 2007, and was shortlisted for the Venice Film Festivals, in the Short Film category the year before. Jamie Hilton of Hilton Media funded this with the assistance of the NSW FTO Young Filmmakers Fund. He has gone on to great things in the Film Industry. ​This little film, was quite spectacular in its own right. Louis' performance was stunning, if not disturbing. If you can imagine a visual component to his darkest music...this role had all the elements to enable him to bring this tragic character to life, quite dramatically, without a word spoken by him.